Today we fully expect film, television, and theater to use music to shape meaning. The screeching violins of “Psycho” and the menacing “Jaws” theme, for instance, both depend on a shared 20th-century dramatic language in which music indicates mood. Rewind 400 years and it may not seem like the same is true. Take Shakespearean drama. Many modern productions choose to avoid historical music altogether, preferring new compositions or pre-recorded popular songs that more obviously indicate mood to modern ears. Yes, early modern theater was a little more restrained in its musical practices when compared to the near-constant musical underscore of screens large and small today. But music was actually an equally important component of Shakespeare’s dramaturgy, often combined with words, action, and the occasional firework to shape dramatic meaning. Indeed, 16th- and 17th-century playhouse music was in one sense even more “real” than later equivalents. It typically existed within the world of the play: It was audible to the onstage characters. In contrast, the modern norm is music as underscore, sounds that shape mood for the audience but are not part of the dramatic world. How would a Jacobean servant react to a trumpet flourish? What about a merchant to an emotive ballad? Or hidden music, rumbling up from under the stage? I have been pondering these questions of late, surveying many texts of the period in search of popular ideas of how music might affect you. In particular, my recent research traced ideas apparently familiar to the average playgoer, rather than the specialist views of composers, theorists, and occupational musicians. These beliefs may seem arcane and irrelevant to our encounters with Shakespeare today. But by ignoring them, we are missing out on Shakespeare’s dramatic intentions. We may even find ourselves in manifest danger of not understanding him. “The Winter’s Tale” is an important play in this regard. It hinges on a barely plausible resurrection in the final scene when Hermione’s statue is brought to life by music. Today, the scene is typically staged as an elaborate but somewhat unconvincing deception. Hermione, it is implied, has simply been hiding for the 16 years between her supposed death and the revelation of the statue. 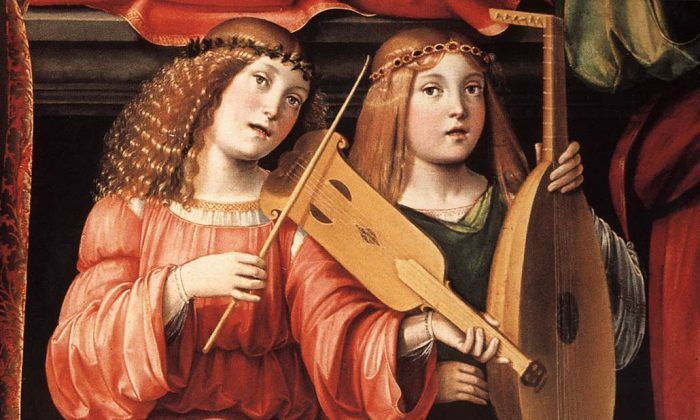 But early modern subjects may have seen this scene very differently, if we consider how they thought of music. Alongside the natural skepticism that this fantastical plotline raises, Shakespeare’s first audiences would have brought with them a firm conviction that music can compel the body and even resurrect. Indeed, Shakespeare seems particularly fond of the “musical resurrection” motif, which has its origins in alchemical theory. 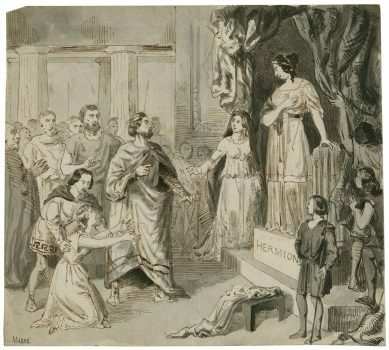 Similarly, in “Pericles,” written a few years before “The Winter’s Tale,” Cerimon uses “rough and woeful” music to help bring Thaisa back to life. In light of early modern musical beliefs, then, it seems likely that Shakespeare wanted a somewhat complex and equivocal conclusion to “The Winter’s Tale.” Rather than inviting a straightforward interpretation of the scene, as performances today often encourage, the statue could be a hoax, but could equally be a mythical story of music’s power. A “winter’s tale” is, after all, another name for a fairy story. Music was a dramatic tool for Shakespeare, used deliberately and precisely to shape meaning at the conclusion of “The Winter’s Tale,” and in many other plays, including “Richard III,” “Othello,” and “Antony and Cleopatra.” Neither is Shakespeare alone in this regard. Many of his contemporaries, such as John Fletcher, Thomas Heywood, John Marston, and Thomas Middleton, made similar use of music’s dramatic potential. Careful consideration of popular musical culture in Shakespeare’s time can help reveal crucial nuances in his storytelling. This is important to note, because these details might otherwise be missed at a historical distance of some four centuries. Twentieth-century underscoring may be the most famous form of music as a dramatic medium. But in a slightly different idiom, Shakespeare and his contemporaries might just have got there first. Simon Smith is a lecturer in Shakespeare and early modern drama at the University of Birmingham in England. This article was originally published on The Conversation.